Xingdong Zhang is a professor at the National Engineering Research Center for Biomaterials, Sichuan University, Honorary and Former President of the Chinese Society for Biomaterials, and President of the International Union of Societies for Biomaterials Science and Engineering. He is a member of the Chinese Academy of Engineering and foreign member of the US National Academy of Engineering. Zhang completed his undergraduate study on solid state physics in 1960 at Sichuan University, and has been working at Sichuan University since graduation. His research focuses on novel biomaterials and tissue engineering for musculoskeletal system. He proposed the concept of _ÑÒtissue inducing biomaterials_Ñ that lifeless biomaterials can induce living tissue or organ. Professor Zhang is the author of over 400 peer-reviewed journal articles, the inventor of 30 Chinese patents, and has edited and co-edited 15 books and book chapters. So far, six Registration Certificates for Medical Devices have been issued to his medical products by CFDA. 20 series of products with over 200 different specifications have been commercialized and applied to dozens of thousand cases in over 1000 Chinese hospitals. 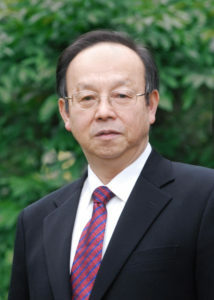 Professor Zhang has won numerous honors and awards, such as IUSBSE-FBSE, AIMBE Fellow, National Science and Technology Progress Award of China, National Natural Science Award of China, Prize for Scientific and Technological Achievements of Ho Leung Ho Foundation, Sichuan Provincial Outstanding Scientific and Technological Contribution Award, and Clemson Award for Applied Research, Society For Biomaterials, etc. My research interest focuses on biomaterials and implantable devices used in regenerative medicine which can induce the regeneration of human tissues or organs by stimulating cell and tissue responses. Those materials mainly include tissue-inducing biomaterials, tissue engineered products, and drug delivery system to promote tissue regeneration. I am especially interested in the research on inducing tissue regeneration and the related molecular mechanism through optimizing the design of biomaterials. In 1991, I found that lifeless porous calcium phosphate (CaP) ceramics, without addition of any living cell or growth factor could induce bone formation, and proposed both the osteoinductive mechanism and the requirements to trigger the osteoinductive properties of materials. Our first generation osteoinductive CaP ceramics have been commercialized, and our tissue-inducing biomaterials for cartilages and blood vessels are under clinical trial now. In addition, my research areas also include 3D bio-manufacturing technology, minimally-invasive therapy and devices, and new methods for long-term biocompatibility evaluation of materials and implantable devices.